Dutch offshore service provider Oceanteam has secured a new contract with McDermott for the charter of its construction support vessel Southern Ocean . The vessel will support McDermott’s subsea installation project off the east Coast of India. The vessel will be mobilised for the project at the end of the year and works are expected to be completed in the second quarter of 2019. “We are very pleased to have secured this contract and are glad with the repeated trust McDermott has put in one of our North Ocean vessels. Oceanteam and Bourbon as co-owner and partner of CSV Southern Ocean, have worked hard to promote the multiple capabilities of our CSV Southern Ocean and, considering the current state of the offshore oil and gas market, are proud to receive this contract. 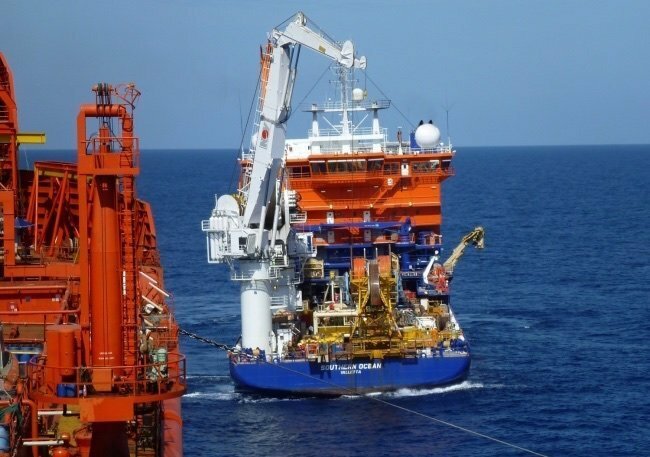 By supporting our client on this significant project Oceanteam is expanding its presence in the Indian oil and gas market, where there are large projects ongoing for years to come,” said Mathieu Feisthauer, fleet manager of Oceanteam. Southern Ocean is jointly owned by Bourbon and Oceanteam.